As Helen says, improving your free-motion quilting is all about Practice, practice and more practice. Helen makes that practice fun with “Quilt-A-Doodle-Do”! 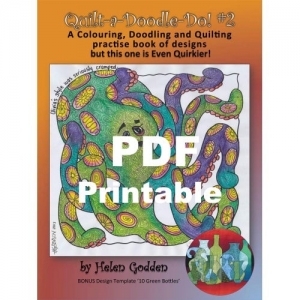 A Colouring, Doodling and Quilting practice book of designs. 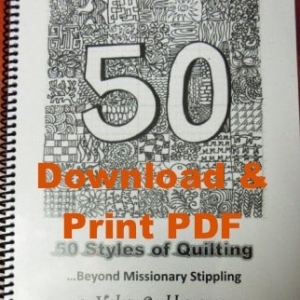 NOTE: This is a downloadable EBook version, you will receive a link to download the book. you will not receive a physical item. As Helen says, improving your free-motion quilting is all about Practice, practice and more practice. Why not practice the old fashioned way with pencil on paper; Helen makes that practice fun with “Quilt-A-Doodle-Do”! 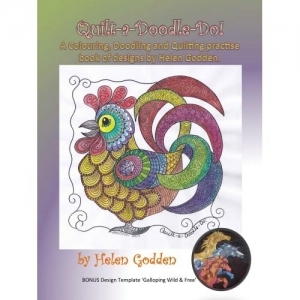 A Colouring, Doodling and Quilting practice book of designs. 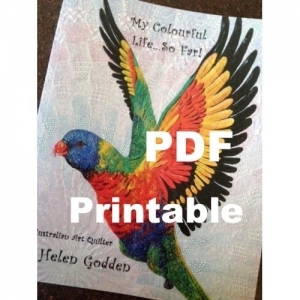 Helen has created 12 original designs with her sense humour, and gives you examples of 9 ways to use each of the designs for colouring, doodling, shading, quilting, appliqué, couching or painting. Printed on heavy paper, square format designs ready to become blocks, or to doodle, colour and practice your free-motion quilting skills. Join in the fun as adults are doodling and colouring their way to their zen zone.